If you haven’t taken your boat out for a spin already this summer, now is the time to enjoy the waves! Make sure to boat safely, dodge the thunderstorms, and keep an eye out for these very unusual vessels. Most sailors hope they’ll never see their boat take a nose-dive down to Davy Jones’ Locker. However, this is exactly what Julien Berthier had in mind when he designed Love-Love, better known as the Fantastic Sinking Boat. Berthier created this unique vessel from a 6.5 meter yacht, which he split in half so that a new keel could be attached. Berthier was often seen cruising in his odd watercraft off the coast of Normandy. He later sold his boat to a London banker. This paper boat began with nearly 2,000 square feet of Tetrapak—the same material milk cartons are made of—and only took a couple hours for German artist Frank Boelter and friends to fold together. Bis Ans Ende der Welt, or Until the End of the World, set sail on her maiden voyage in the Elbe River and, surprisingly, kept her human cargo safe and dry. Frank estimated that his paper creation would last about 40 days before crumpling. It’s just a normal boat that’s shaped like a guitar, but hey, it’s pretty cool. Musician Josh Pyke of Sydney wanted a boat designed to look exactly like his Mason guitar, and once he had the craft in the water, he made good use of it in his 2008 music video. The Seabreacher-X could easily be mistaken for the star of the movie Jaws, but it’s just a 260 horsepower recreational vessel that comes with teeth, fins, and fiberglass eyes. This sporty submersible watercraft has a unique thrust system that is said to imitate the tail articulation of actual sharks. Seabreacher can reach an impressive top speed of 50+mph above the water’s surface, 20mph underwater, and leap 12 full feet into the air. We’re gonna need a bigger boat! This extreme powerboat circled the globe in under 61 days, setting the world record and running completely on biofuel. Earthrace is a wave piercing trimaran, sporting three hulls that cut through waves rather than going over them, allowing it to maintain its speed (up to 40 knots) in rough water. Earthrace is even capable of total submersion and can handle 24 feet of water over her windscreen. After completing her mission, Earthrace was painted black, reinforced with Kevlar, and joined the ranks of the Sea Shepherd Conservation Society. She met her demise after being rammed by a Japanese sailing ship. The “Spider Boat,” also known as the Proteus Catamaran, was developed as a multipurpose vessel by Marine Advanced Research. She’s a Wave Adaptive Modular Vehicle prototype, or WAM-V, that floats over the waves instead of cutting through them, using titanium shock absorbers to smooth the ride for the two crew members. This unique design allows Proteus to be beached with little to no damage. The Spider Boat remains in active service today, though no plans have been announced to replicate the prototype. RP FLIP is not your average Navy research vessel. FLIP, or Floating Research Platform, weighs in at 700 tons, has no propulsion system, and is capable of flipping 90˚ into the air using a system of floodable compartments. 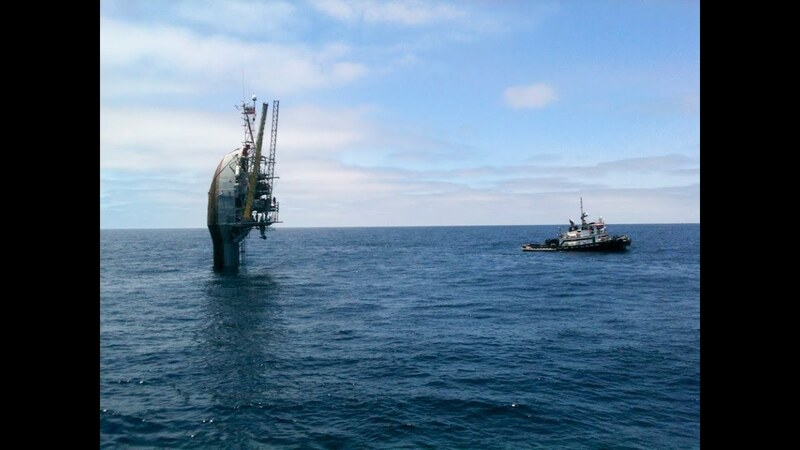 When flipped, about 55 feet of the ship rises above the water while the remaining 300 feet provide a steady base. FLIP has remained in operation for over 50 years and continues to collect data regarding seawater, acoustics, and meteorology. Though you may not have the cash to drop on a Seabreacher or order a custom-made guitar boat, it’s always a good idea to have your boat fully insured before heading out on the open water. Request a quote from Gem Agency today!